I’ve been busy bustling about trying to try out some cult eats over the last couple of weeks, both in the supermarket and in London. 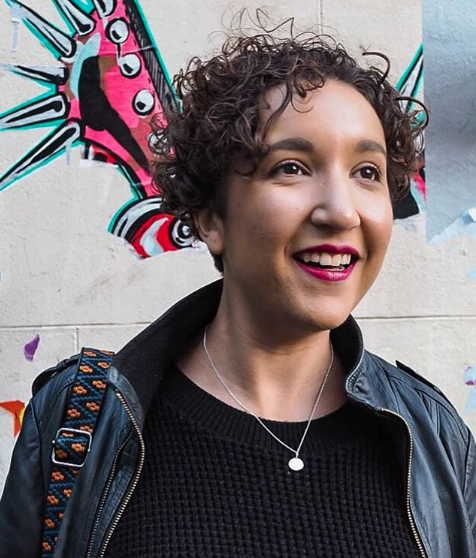 I’m a sucker for a food trend, let me know in the comments which ones you can’t resist! 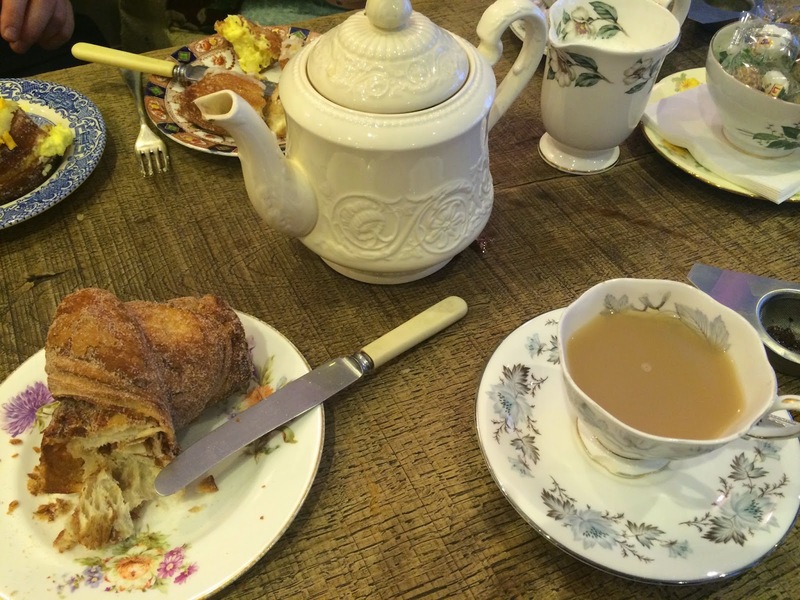 Cocomaya is hidden away off Edgware Road and is mostly known for its incarnation of a cronut – a hybrid croissant/doughnut which they call a cro-dough (so as not to go against trademark regulations). However, as i got there at about 4pm, all the cro-doughs I liked the look of had gone, so I went for a MASSIVE cinnamon roll instead. You could tell they’d sat out all day as it was pretty dry, although it really was delicious. The service was pretty poor too, especially as it was pretty empty. I’d plump for a takeaway cro-dough next time. I’m a bread fiend. I love it in all its doughy forms, from sourdough to rye, it’s just the best. I am continually horrified that bread, however delicious it is, just isn’t that great for you. (Quote Scott Pilgrim: “BREAD MAKES YOU FAT? 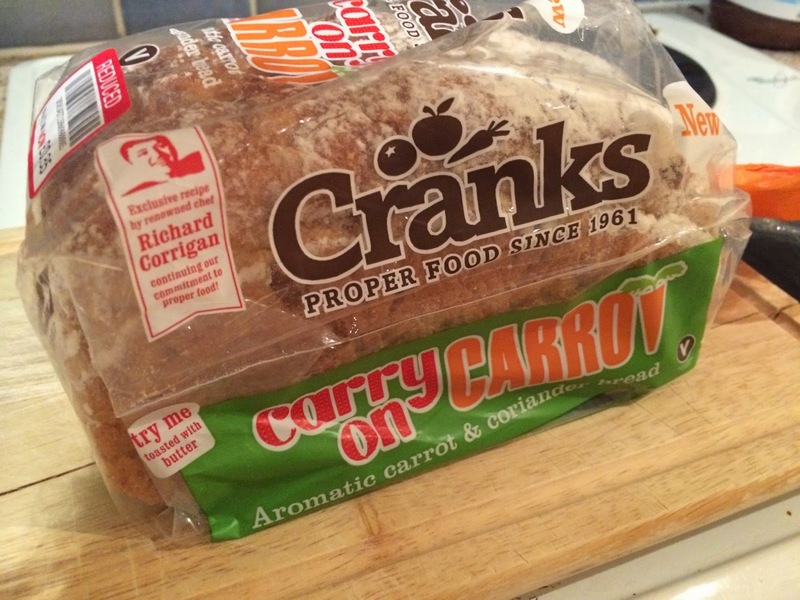 !”) I found this loaf from Cranks reduced in Waitrose and figured that if there’s any food that will encourage me to eat more carrots, it’s bread. Despite not being a huge fan of coriander, that wasn’t the overwhelming taste for me, it was actually the ‘pinch’ of orange zest. The slice-your-own loaf is perfect for soups and actually really nice when toasted with lots of butter (well, I had to make it unhealthy somehow!). I’ll be looking out for more products from these guys! I will provide endless love to anyone who can find me a large tub of Ben & Jerry’s Chunky Monkey in a London supermarket. I cannot find it anywhere but I did stumble across this tub of awesome on a day that demanded ice cream (not for weather reasons I might add, purely a comfort food thing). 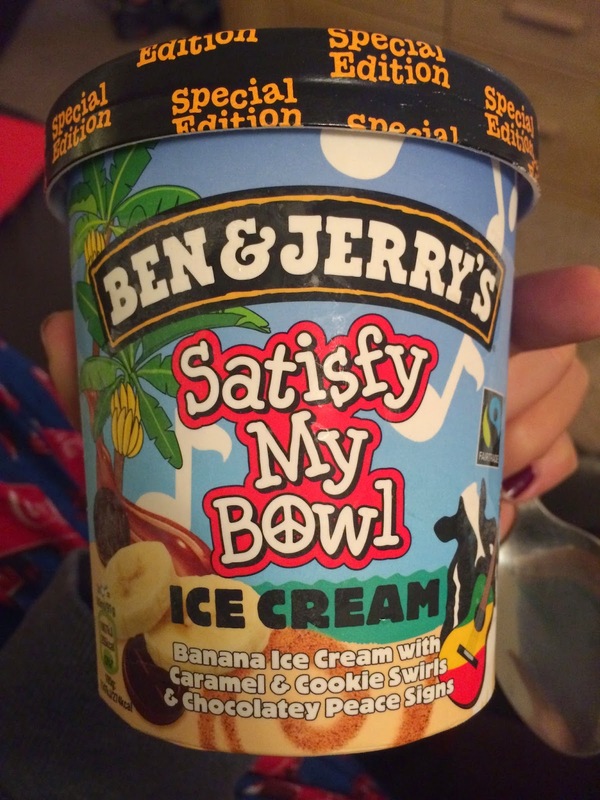 It’s essentially the same banana ice cream and chocolate pieces (in peace signs instead of banana shapes), but added with caramel and cookie swirls. Actually, I think this is better than Chunky Monkey but it’s bloody Special Edition. Who knows how many of these I’m going to have to demolish to make up for the fact that it won’t always be in my freezer?! I had to include this for the sheer truth that it is in fact the most pretentious canape I’ve ever had. I went to the Make Fashion Content Count event at Rockabox Studios and when I heard this being introduced, I had to take a picture. 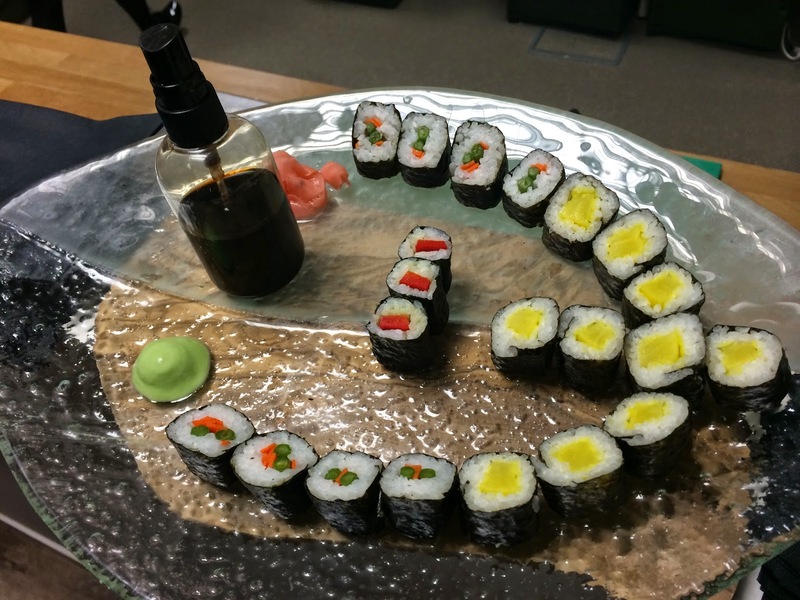 Let’s be clear here, this was basically just sushi, it just so happened that you have to spray your own soy sauce directly on to it and dip in some wasabi that’s probably been dipped in already. Mind blowing it was not, but 10 out of 10 for level of ridiculous! What’s been tickling your tastebuds recently?